TCL Communication, Parent company of alcatel brand, is holding an event at CES next week where we might see the debut of some new devices. 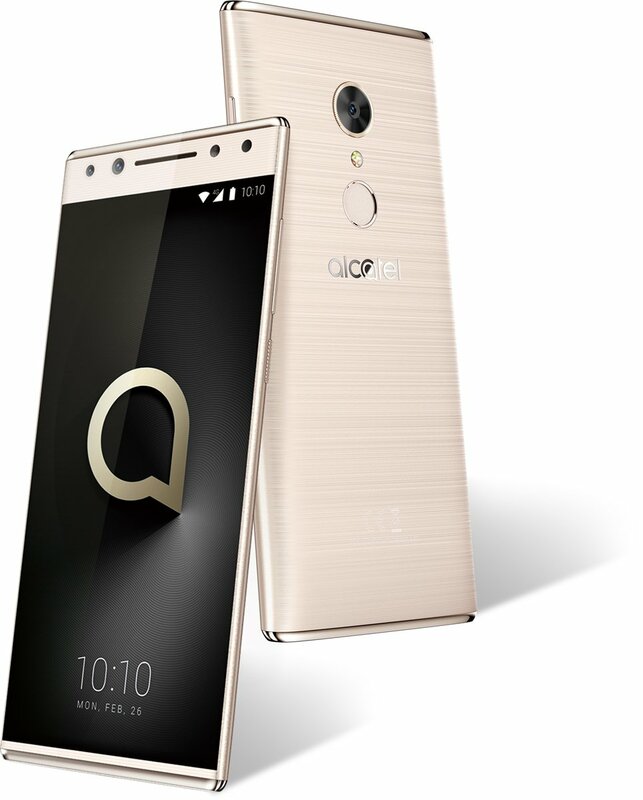 Last year at IFA, Alcatel has announced entry level and budget smartphones. Evan blass has released an image of Alcatel 5, which shows the premium design from Alcatel. Above image shows that phone come with 18:9 ratio display, it also shows that there will be less bezels on bottom and side of the phone. On front top the image shows dual front camera and an led flash with sensors. On the rear it comes with Single camera sensor with Led Flash and Fingerprint sensor. Rear of the phone appears to be brushed metal, while the top and bottom of the phone will have a shiny golden effect.